Fonseca cigars are expertly hand-made under the strict supervision of master cigar blender Manuel Quesada to ensure the superior quality of each and every cigar. 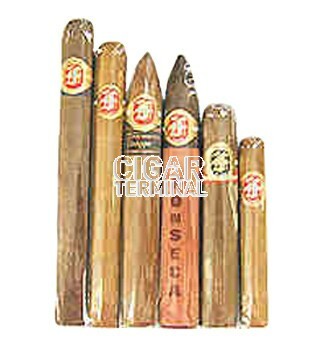 The Fonseca cigars sampler includes one each of the following handmade cigars from the various premium Fonseca cigar lines: Vegas De Fonseca Antero (7"x50), Classic 7-9-9 (6.5"x46), Vintage Belicoso (6.25"x52), Sun-Grown Cedar No. 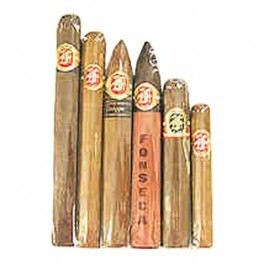 2 (6.25"x52), Serie F Robusto (5"x52), and one Fonseca Cubano Limitada.